It begins. Winter. Porters. 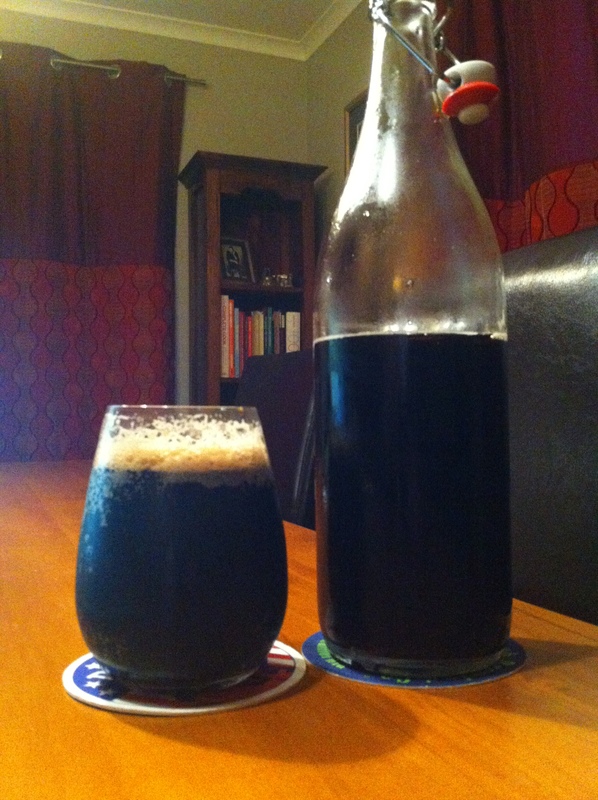 This one the London Porter from the nice people at Tuatara, and by local FYO station. Which is a bit offensive, Poms (English people) do not drink ‘warm’ beer, they typically drink ‘Bitters’ that are brewed and served at cellar temperatures, which is colder than normal room temperature and not fridge chilled. Also Top fermented, unlike bottom fermented lagers. Trust me on this. Making a good dark Porter isn’t just about malt. Two Jumpers! I got cold out running today. Sure you’ve got your crystal, chocolate and roast malts to provide lots of body and a healthy shade of who-turned-the-lights-out, but balance demands something more than that; specifically, generous additions of hops. What hops, when and how much? That’s a long conversation, but even when we manage to bail Carl up on the subject we can never pump it out of him. Best to just enjoy it and stop worrying. So, what could possibly go wrong? I’ve had this out and about on my travels and remember enjoying it. Lets see if it was venue excitement. Big milk chocolate aroma on popping the flip lid, big aroma. Lovely pour of a seemingly thick beer with a fantastic head of thick mocha white fluff that does fade and leave just a small head, but even that looks nice. Despite the warning to have this ‘warm’ i’m drinking this a it from the fridge, room temperature might not be much warmer at the moment. Aroma in the glass is smokey bitterness and pepper. The chocolate bloom seems to have faded for the moment. The mouthfeel is a lot thinner, it’s not a full bodied beer, lovely amount of bitterness, some tart fruit perhaps and a smatter of chocolateness. It’s quite the drinkable drink. It isn’t though big drinking, it’s not that complicated, nothing peaky or edgy to distract you or pause over, just a reasonably well put together Porter beer. The pdubyah-o-meter rates this as 7 a of its things from the thing. I really do think that this is a ‘thin’ drink, there isn;t a lot of body in this to carry the flavours that this clearly has, so no backbone to play off as it were, the carry. Which is disappointing. Or I don’t understand Porters. I really wanted more of a punch somewhere in this, or a bigger mouthfeel, and this just doesn’t have it. So, enjoyment level quite high, disappointment level quite high too. But E beats D somehow. Am I enjoying it? I am it’s a very drinkable drink. Would I have another? 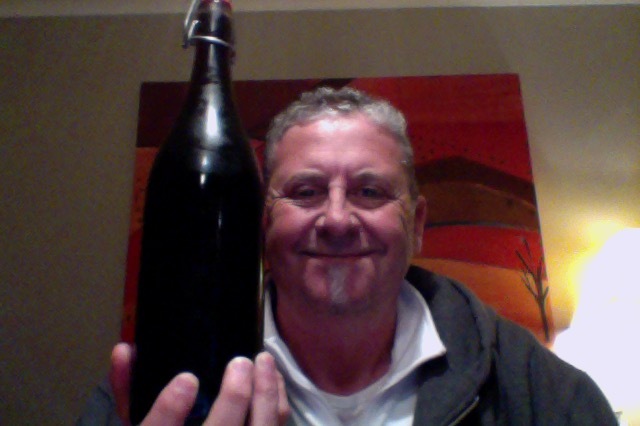 I have a couple more int he bottle, that’ll do me, I don’t think it gets refilled though. Would I share with a friend on a porch and set the world to rights? I don’t know that I could, it’s just not party enough, there isn’t a thing in to remark on, and it leaves you waning a bit more punch or oomph or something. Garage/Indie Rock. Seems a bit unpolished to me though, and I couldn’t go the whole album, not in this mood not on this day. I though it was very raw punk rock in its delivery. reminded me of the day. This entry was posted on May 15, 2015 by Philip Walter in Beer, Beer of New Zealand, Beer Review, Craft Beer, Critic, Justsaying, Porter, Tuatara and tagged Alcohol by volume, Beer, craft beer, London Porter, Porter, Tuatara Brewing Company, Tuatara London Porter.